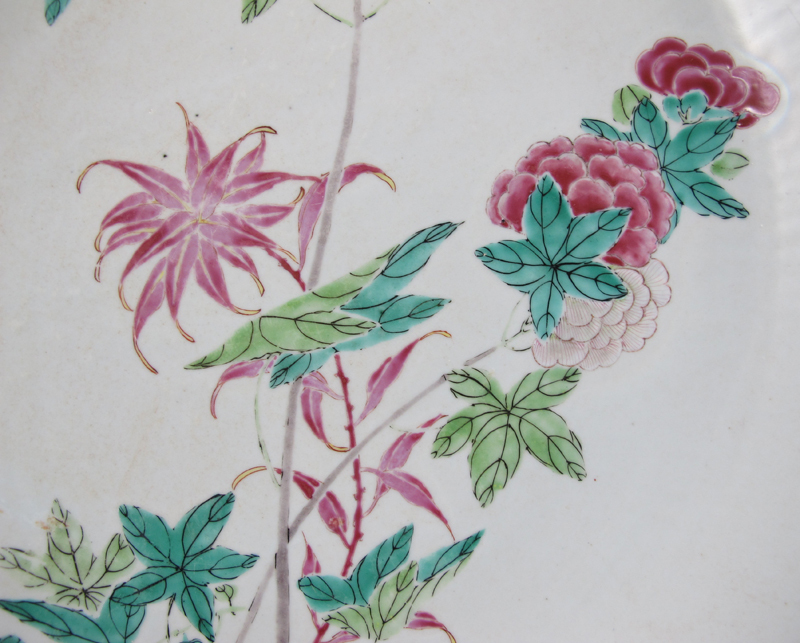 A large porcelain charger, made during the early 18th century Yongzheng period, and delicated enameled in the famille rose pallette with naturalistic foral sprigs. 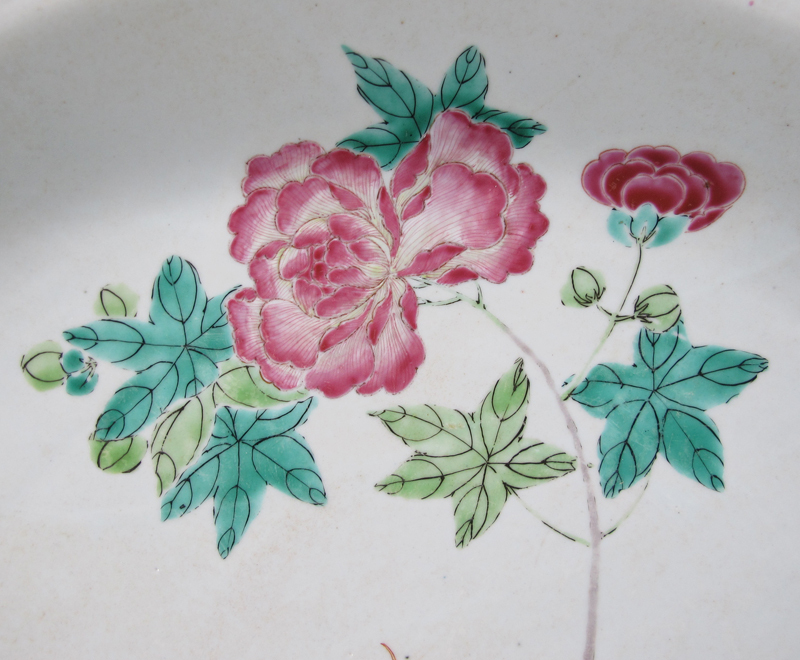 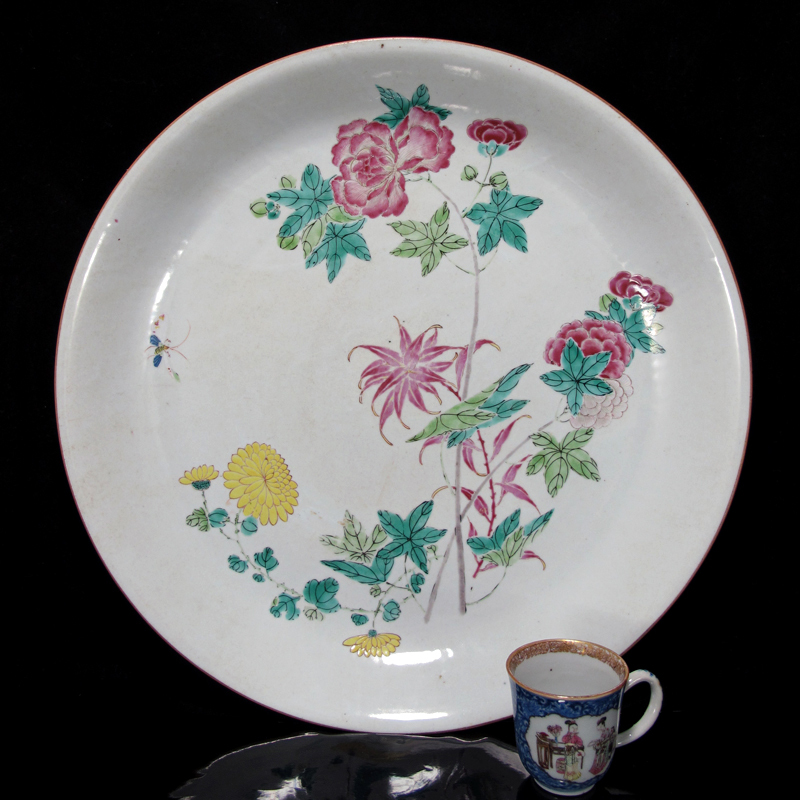 The Yongzheng period saw the emergence of famille rose porcelains, which marked a break from the more bold Kangxi wucai. 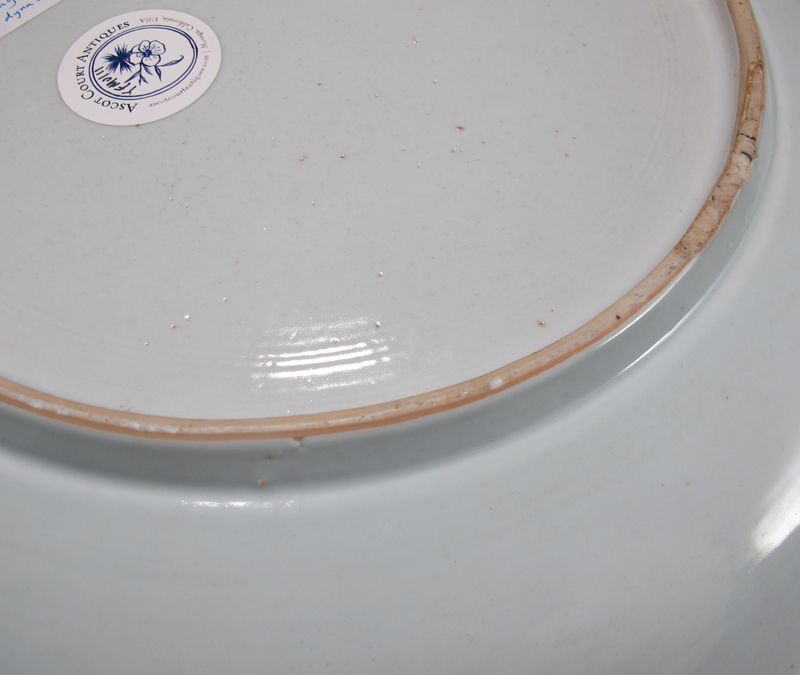 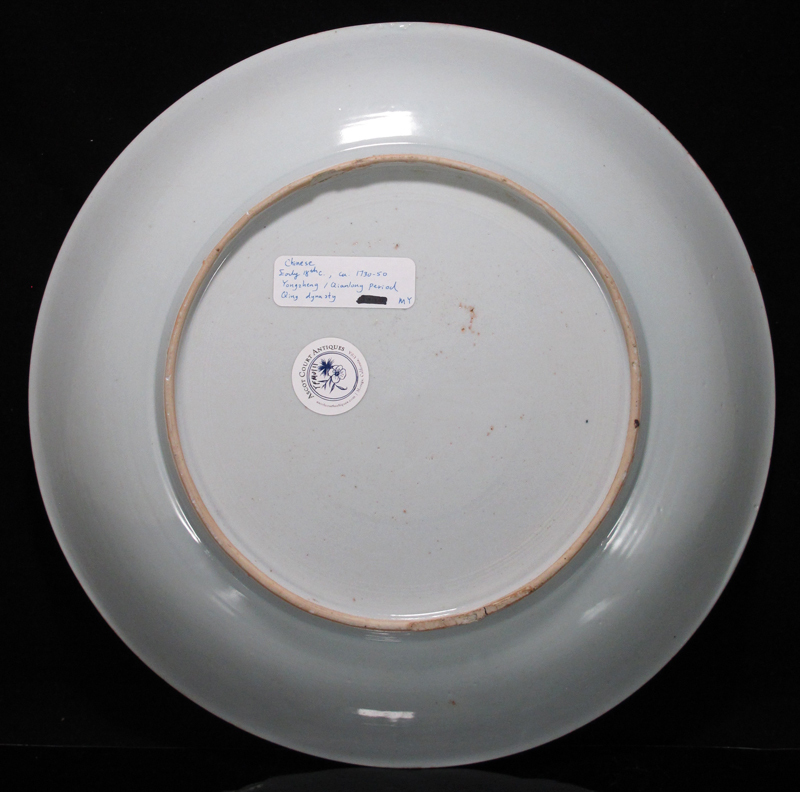 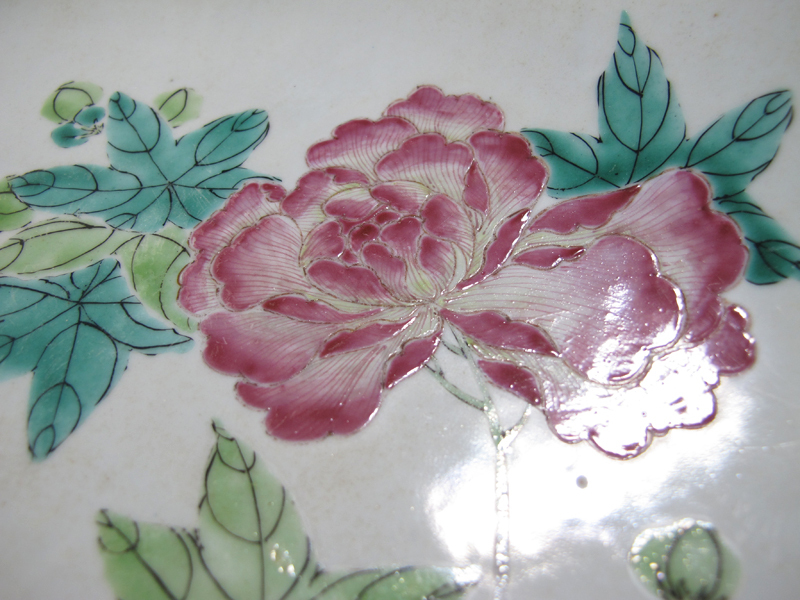 Aptly termed “ruan cai” (soft colors) or “yang cai” (foreign colors), famille rose enamels attained its opaque and gentle quality from the application of lead arsenate as a base–a technique probably introduced by European Jesuits working in Beijing’s Imperial workshops. 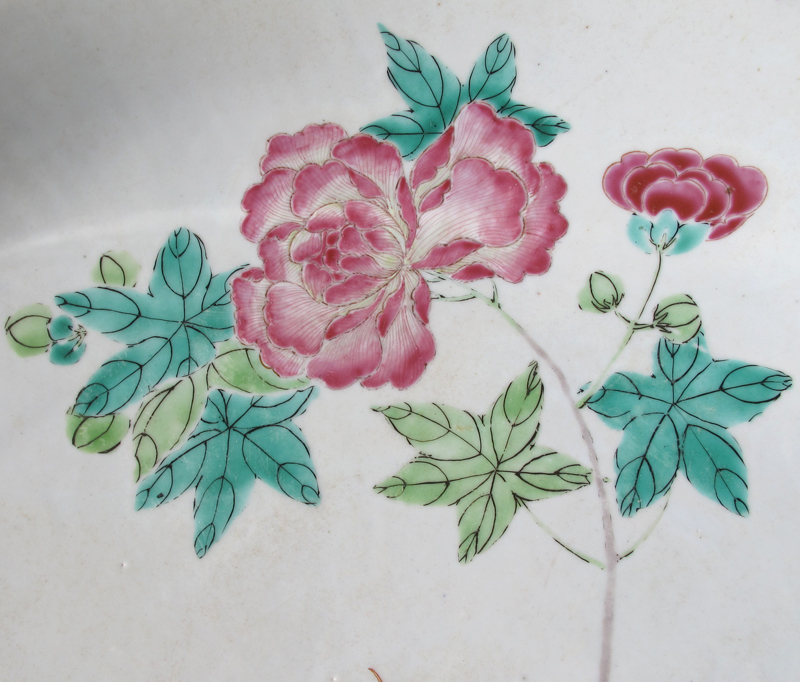 To this day, the best famille rose wares remain those made in the beginning, during the 1720s-30s; following the Yongzheng period, never again did Chinese enamels attain such purity and tenderness of color. 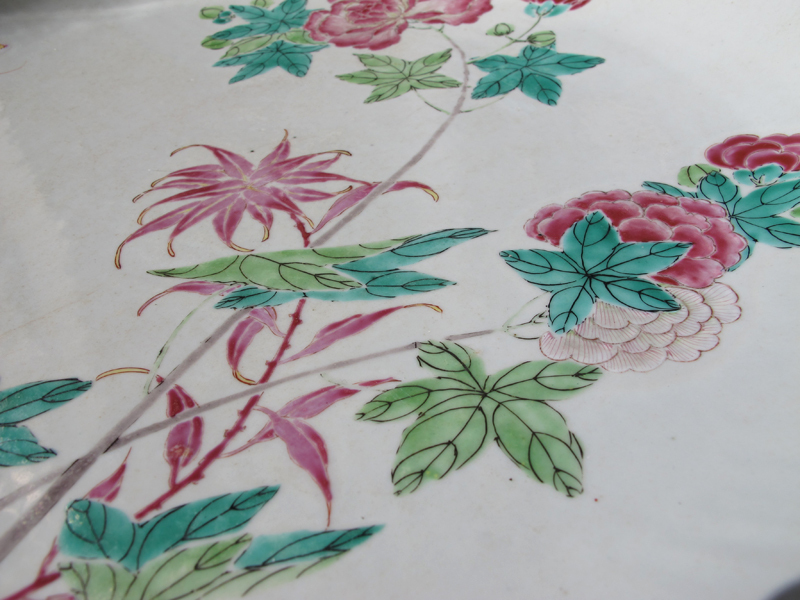 This particular piece belongs to a classic group of Yongzheng wares–that is, those carefully enameled against a plain porcelain body. 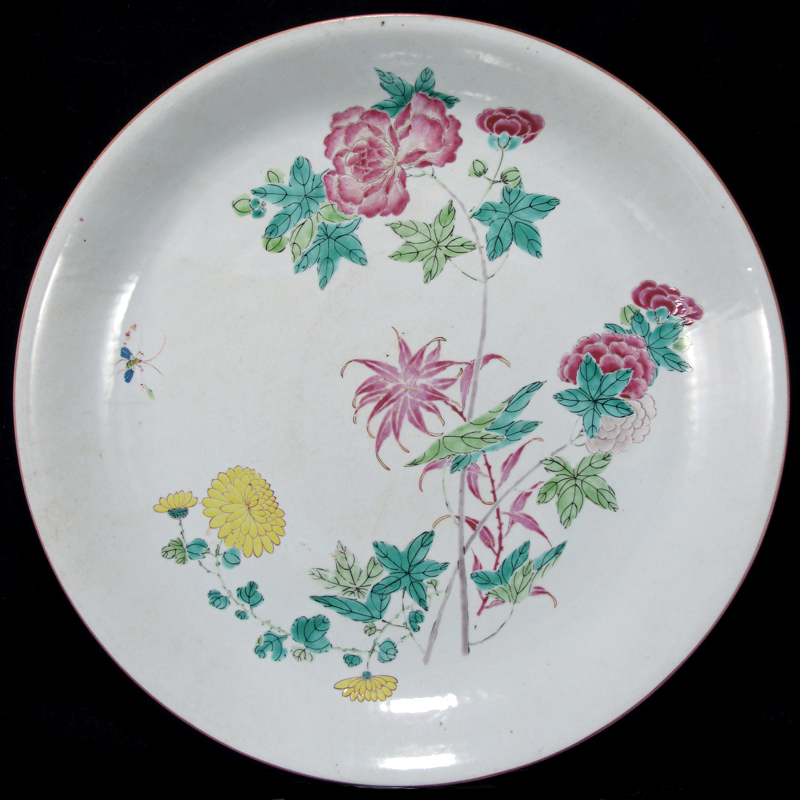 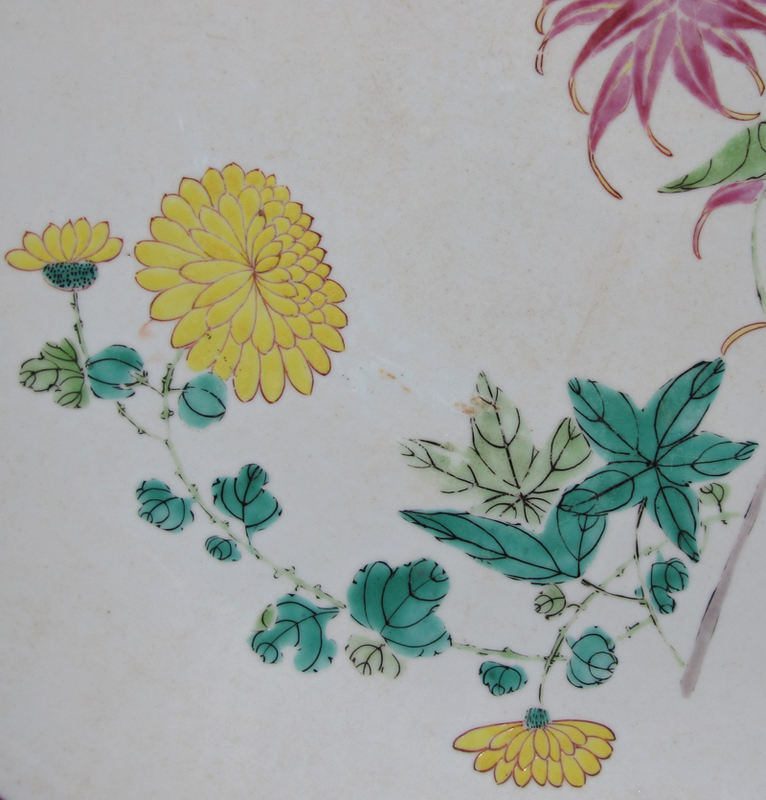 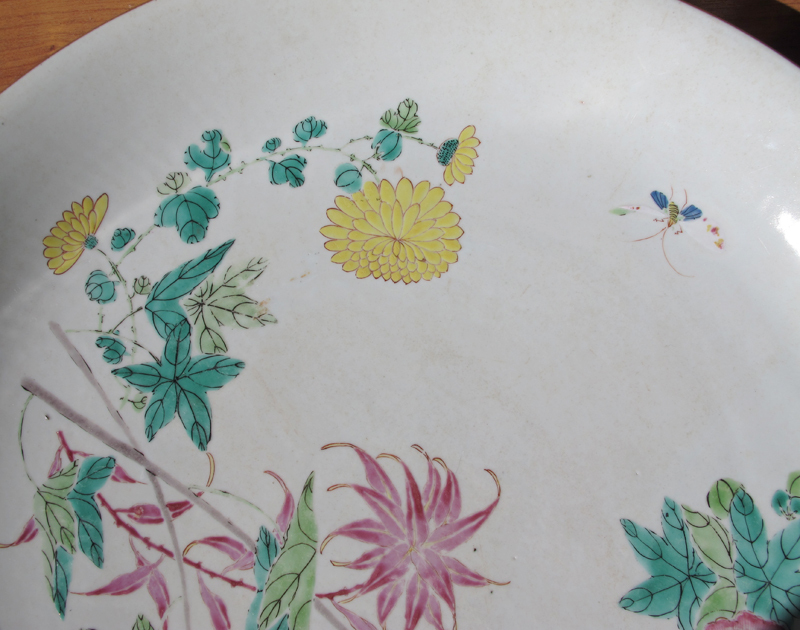 Although rather simple in composition, this dish represents the height of Yongzheng taste: supreme elegance is achieved by leaving the background plain white, without the distraction of borders or other stylized motifs; the enameled flowers are drawn with such grace and linear movement that they appear to sway in the wind.